A new report from the American Customer Satisfaction Index shows a drop in retail customer satisfaction. From department stores like Nordstrom to specialty stores like Bed Bath & Beyond, customers are less happy than they were a year ago. How can this be possible in an era where customers are bombarded with survey requests and access to big data is at an all-time high? The answers have to do with people. How people are staffed, managed, and the duties they are asked to perform all have an impact on customer satisfaction. 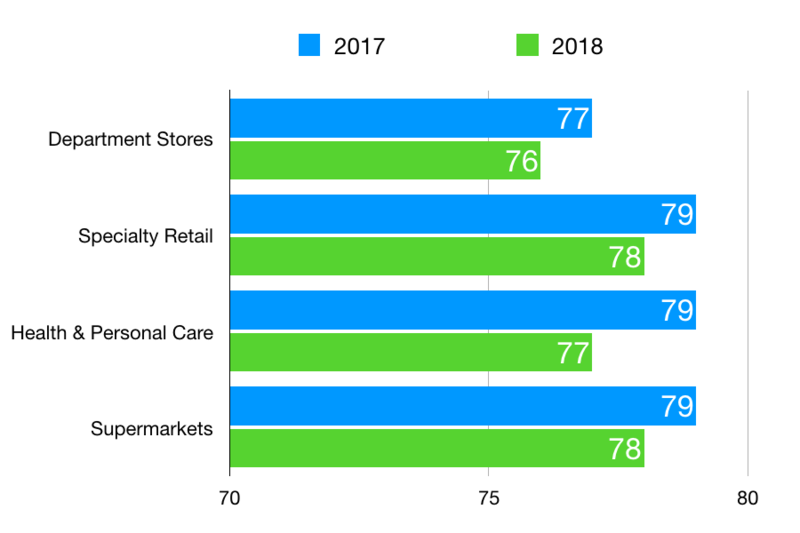 Retail customer satisfaction declined from 2017 to 2018. This one is down across the board. Courtesy and helpfulness from retail employees has declined. Staffing levels have a big impact on this category. Retailers routinely understaff stores in an effort to save money, but this leaves the few available employees running ragged trying to serve multiple customers and complete tasks like restocking and merchandising. Another issue is the surveys that seemingly appear on every retail receipt. These should help retailers detect problems like unfriendly employees. But the dirty secret is many retailers don't actually use those surveys to improve. And many even manipulate the surveys to make the scores look better than they really are. A 2016 report from Interaction Metrics found that 68 percent of retail customer satisfaction surveys were "total garbage." There's a slight dip in this area. Stores need to improve the cleanliness and layout. Part of the challenge is staffing (see Trend #1). Stores struggle to stay clean and organized when there aren't enough employees to do the work. Another is command structure. Many retail chains make store layout decisions at the corporate level, and don't do enough field testing to ensure the designs actually make sense. Last year, I did a comparison of my local Walgreens, Rite Aid, and CVS and noted important differences in the layout of each store. The checkout process was another area where satisfaction dropped across the board. Checking out is too slow at retail stores. Here again staffing plays a role. We've probably all wasted time wandering around a department store, searching for someone to ring us up. And that's precisely why so many people would rather shop online—it's much easier. Customer satisfaction with speed isn't just about the actual amount of time it takes. People are heavily influenced by perception. So a pleasant experience with a friendly cashier that takes five minutes will feel like a breeze, while an unpleasant experience that also takes five minutes will feel like an eternity. Retailers could help themselves by studying these factors that influence wait time perception. There are three easy ways retailers can check these trends in their own stores. Talk to employees. I have no idea why managers don't spend more time doing this. Employees will almost always be forthcoming about the challenges they face if you ask them sincerely. Walk your stores. Spend time walking through your stores like a customer. You'll often discover unexpected problems that your customers encounter every day. Use surveys wisely. Customer feedback surveys can be valuable tools, but you should use them wisely or not use them at all. This short video will help you decide why you want to run a survey program. I'm putting the finishing touches on the second edition of my book, Getting Service Right. The book was originally called Service Failure, and I've now updated both the title and some of the research. The cover is one of the most important sales tools for a book, so I worked with Anne Likes Red to come up with a few designs. I then launched a survey to ask readers for their feedback on three cover options. The survey was up for just a few days and a 135 people responded. Picking cover option B should be a no-brainer, right? After all, more than half of all survey respondents picked that option. Without qualitative information, I might have made that mistake. Fortunately, I also included a comment field in the survey. When you analyze the comments to learn why someone chose a particular option, a new pattern emerges. A cable company found customers with modem issues were impacting overall NPS by -2 points. Another company discovered one variable that caused customers to spend $140 more per year. An airline learned passengers were 4x angrier about missed connections than delayed flights. The point Medelyan made is we usually get deeper, more actionable insights when we analyze the comments and not just the scores. So I applied this concept to my book cover survey and found two significant themes contained in the comments. The first was quite a few people chose B because they liked the subtitle below the title better than the way it was shown in option A and C. So it wasn't just the color that's drove people to option B. The second theme was quite a few people who selected option B mentioned they liked the title arrangement of option B, but preferred the color of option A. There were even a handful who picked B but mentioned they liked the color on option C best. Keep in mind I only made adjustments where respondents were explicit in their survey comments. If someone didn't explain why they chose B, they may have done it for the title arrangement, the color, or pure whimsy. I did a similar survey with my last two book covers, and both times I ended up choosing elements from different options. I did the same thing this time. Going with option B's title arrangement was a pretty easy decision. There were numerous comments describing option B as the preference without any support for the layout of options A and C.
I ultimately chose the blue color from option A. Several survey comments mentioned color theory, and my friend Jim even shared this helpful resource from Quick Sprout. According to the guide, the color blue symbolizes tranquilty and peace and has more positive associations across various cultures than purple and green. Cover design by Anne Likes Red, Inc.
You can gain so much more from a survey if you combine the fixed choices (ex: option A, B, or C) with comments. Try analyzing one of your own surveys to see what hidden insight is revealed. You’ll find a lot of simple analysis techniques in the webinar with Alyona Medelyan from Thematic. You can also get more help with your survey on this survey resource page. What if you discovered your business was doing something that more than 25 percent of your customers disliked? That should get your attention, though some businesses engage in unfriendly practices that bring in significant revenue. Think of airline baggage fees, hotel resort fees, and cable equipment rental fees. Okay, but what if you learned an activity that more than 25 percent of your customers disliked delivered absolutely no value to your business? You'd probably stop it immediately. The customer service survey falls into that category for many companies. Customers don't like it and it delivers absolutely no value. Smart customer service leaders should either fix their broken surveys or stop doing them altogether. Read on to learn which path you should take. 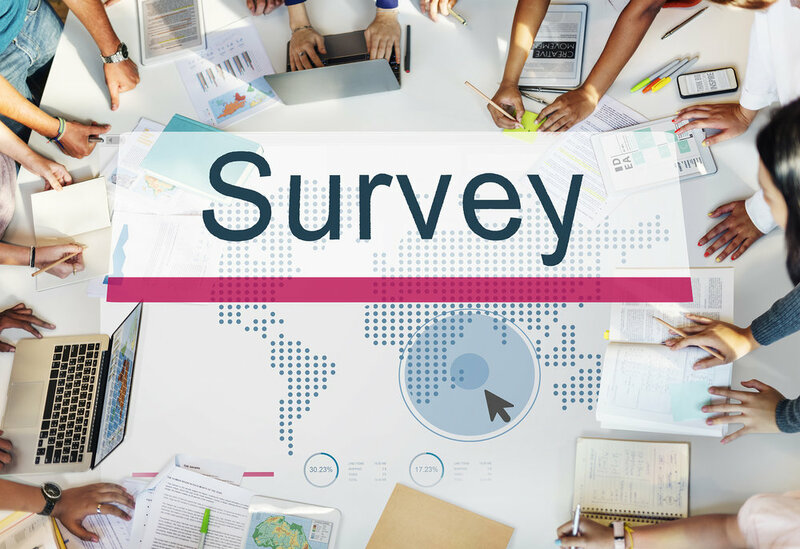 A 2017 study from Customer Thermometer asked 1,000 customers to give their opinions on surveys by, you guessed it, surveying them. The caveat is an inherent bias in the results. The chances of you filling out a survey about surveys when you really don't like surveys is pretty low. So we could reasonably expect the positive results to be inflated. In fact, 45 percent of respondents reported they routinely ignored survey requests. Okay, so far the data shows that surveys annoy a lot of customers and nearly half of customers don't complete surveys, so they aren't representative of your customer population. A 2016 study from Interaction Metrics concluded that 68 percent of surveys from leading retailers were "total garbage," meaning the surveys yielded no useful information. The kicker is a 2017 study from Capgemini Consulting revealed that companies improperly used Net Promoter Score (NPS) surveys saw no difference in customer perception compared to companies that did not track NPS or customer experience data. The big question is whether it's worth the risk of annoying so many customers if your business is getting zero value out of your surveys. So you can start assessing the value by starting at the beginning. Does your survey generate any meaningful insights? What makes your customers happy or unhappy? What products, services, or locations are performing the best or worst? What generates the most complaints? Can you improve customer retention? Can you serve customers more efficiently? Can grow revenue through more word-of-mouth advertising? These are all examples and by no means an exhaustive list. The bottom line is your survey needs to be a conduit to improving the business or else it's a waste of time. 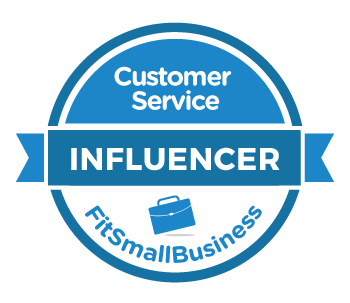 I've assembled a customer service survey resource page to help you learn more about what makes a great survey. You'll find blog posts and helpful videos. Take time to evaluate your survey. If it's not driving value you'll have a big decision to make. Should you scrap it or fix it? The customer experience director proudly announced her company had just implemented a customer service survey. "That's great!" I said. "What are you doing with the data?" There was an awkward silence. Finally, she replied, "Uh, we report the numbers in our regular executive meeting." That was it. The entire purpose of the survey program was to add another meaningless number to the executive scorecard. The survey was doing nothing to help the company improve customer experience or service. I dug a little deeper and discovered her survey had no comment section. In other words, customers could rate their experience but they couldn't explain why. Comments are a critical element that tell you what your customers are thinking and what you need to do to improve. But having a comment section isn't enough. You need to know how to analyze those comments. Let's take a moment to look at why survey comments matter. The rating alone doesn't tell you very much. You need to look at the comments people write when they give those ratings to learn more. The challenge is the comments are freeform. You'll need a way to quickly spot trends. The good news is you can do this by hand. It took me less than 30 minutes to do the analysis I'm going to show you. Start with a check sheet. This is a piece of paper with a columns for each possible rating on the survey. I did this digitally by creating a table in Mac Pages. Next, read each survey comment and try to spot any themes that stand out as the reason the customer gave that rating. Record those themes on your check sheet in the column that matches the star rating for that review. For example, what themes do you see in this five star review? Now repeat this for all of the reviews. Look for similar words or phrases that mean the same thing and put a check or star next to each theme that's repeated. I noted a theme of "fast service" in the review above because the reviewer wrote, "got a full set of Yokohama tires in around an hour." I put a star next to "honest" and "fast service" after I read another review that said, "Discount Tire Store was trustworthy and fast. 4 new tires, in and out the door in an hour." There weren't many bad reviews. The few that had comments mentioned a long wait time, a lack of trustworthiness, or some damage done to the customer's vehicle. You'll see a larger theme emerge if you look across all the reviews. Some aggravation usually accompanies a trip to the tire store. Maybe you got a flat tire or perhaps you're trying to squeeze in car service on a very busy day. There's a good chance you're dreading the cost. When customers are happy, their comments tend describe some sort of relief. For instance, more than one customer mentioned arriving just before closing and feeling relieved to get great service from helpful and friendly employees. The purpose of this exercise is to take action! If I managed that Discount Tire store, I'd make sure employees understood they are in the relief business. (Perhaps they do, since their rating is so high!) Relief is one of the top emotions in customer support. Responding to a negative survey is an opportunity to save the customer. For private surveys, you'll need a non-anonymous survey or a contact opt-in feature to do this. Many public rating platforms like Google My Business, Yelp, and TripAdvisor allow you to respond to customer reviews. 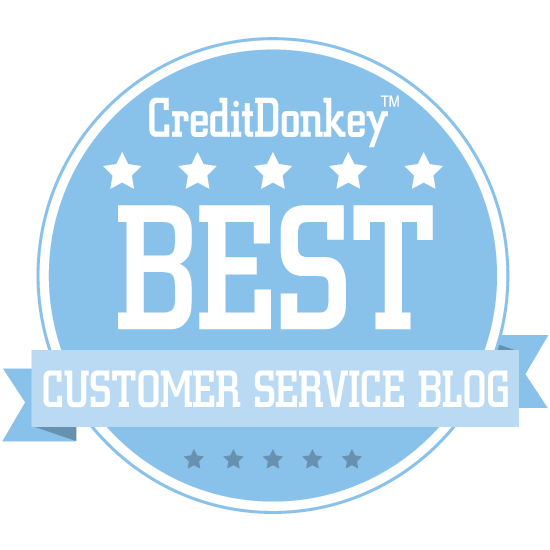 A polite and helpful response can signal other customers that you care about service quality. And you might save that customer, too. One Discount Tire customer changed his 1 star review to a 5 star review after speaking with the manager who apologized and fixed the issue!